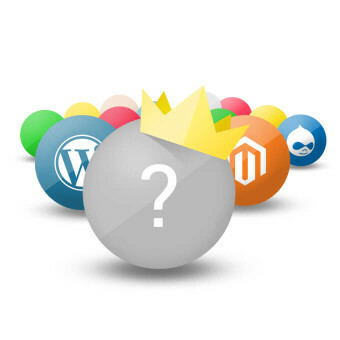 Which CMS will be crowned Content King in 2015? Content management systems are all over the web these days. So much so thatit’s often hard for the time-pressed entrepreneur to choose between them. Here we review three of the top picks to see who will come out with the crown. Starting way back in 2003, and used purely for blogging purposes, WordPress has come a long way over the past nearly dozen years. These days it’s much more than just a blogging system, it’s used for everything from selling sneakers to searching for soul-mates. WordPress is probably the most well developed CMS out there today with the biggest community. Because of this, there are literally thousands and thousands of widgets, plugins and themes to choose from already. You can create a whole, fully-functioning website without having to know a single bit of code. On the other hand, there is an unlimited scope to sorting out your own code, though to create one from scratch takes a bit of getting used to and you’ll need to know some fairly advanced PHP. Magento meanwhile, is designed with ecommerce in mind. A relative newcomer to the CMS scene incorporated in 2008. This system is especially popular in the fashion world and is trusted by some leading brands. While you’ll lack the sheer diversity you can find in WordPress, Magento markets itself by usability: this it has in bundles. Easy to use. Easy to build. Easy to change. Most of all, easy to build your sales and concentrate on selling your item instead of agonizing over widgets. It offers some fantastic options and the CMS really is designed with your customer in mind. Fully responsive website designs, without the faffing about behind the scenes that get your product from production to presentation with the ultimate ease. However, what you get in ease of use you lack in customization. This is the WYSIWYG of CMS and while it works for some it doesn’t work for all. Drupal is the oldest CMS on the list, with its roots way back in 1999. It migrated to a full CMS in the mid-noughties and hasn’t looked back since. While smaller than WordPress it has a much more dedicated community. This is the Linux of CMS. You need to know what you’re doing but, boy, doesn’t it pay off. Some of the nicest, most impressive CMS-based websites on the internet are based on this software. 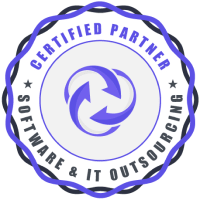 Indeed, if you know how to code and you know what you need – this CMS gives you everything and more. It’s a tough choice in the end, all three systems are great but it depends on what you need. If you want ease of use and your website is more a portal than a pop-up, then WordPress will win. It’s customizable and user-friendly without being too ‘salesy’. Perfect for a corporate online presence. On the other hand, Magento is the one to go for if you just want to sell your products on a nice-looing website, and don’t really care about the difference between PHP and Pinocchio. Finally, Drupal is perfect for the ‘super-users’ and wins on pure customizability. Though will put anyone off who’s not comfortable with the ‘engine’ of a website.